Being Upcycled family like we are, obviously we think reusing and repurposing is a good idea, as opposed to, buying some new and much less quality piece of furniture, that won’t last 10 years before it finds its way to the landfill. However I also love old, antique and vintage. So when it come to adding a piece of furniture to my home I want to find something old, that matches my style and my home. However when you are talking about something that is more modern like a tv stand or a media tower, that’s what we are currently in need of, that you don’t find in the antique store. So that is where repurposing and upcycling come in super handy. 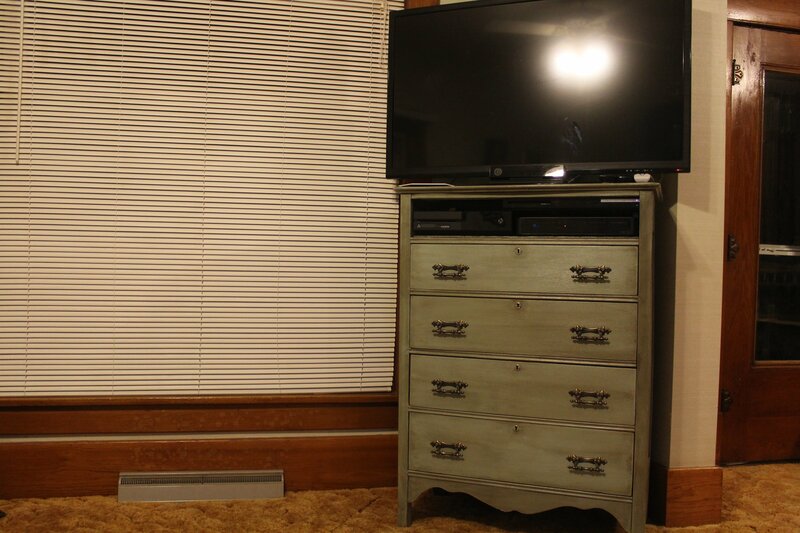 Turning and old dresser into a tv stand/media storage center, then a DIY dresser makeover is born. 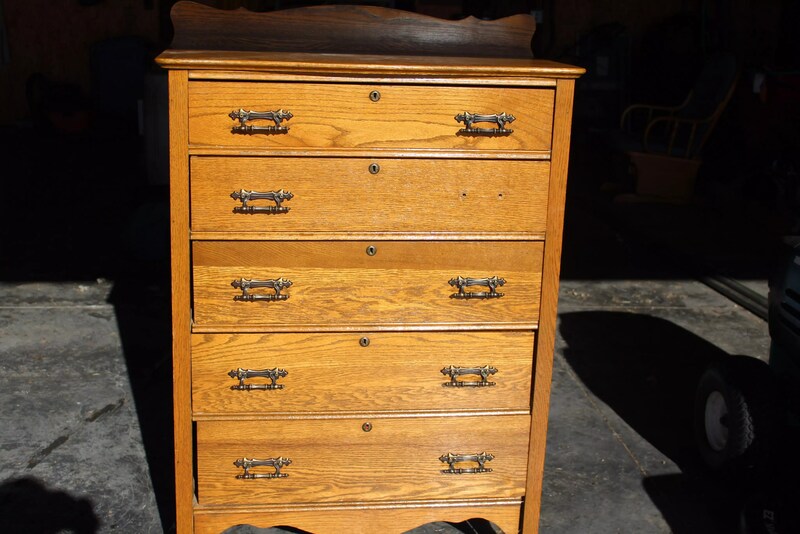 So we have this 100+ year-old skeleton-key style dresser, been in the family for a while. Actually no one knows for sure how long or old. Based on the style I would say this gem came from early 1900’s, which is cool puts it in about the same era as our house! 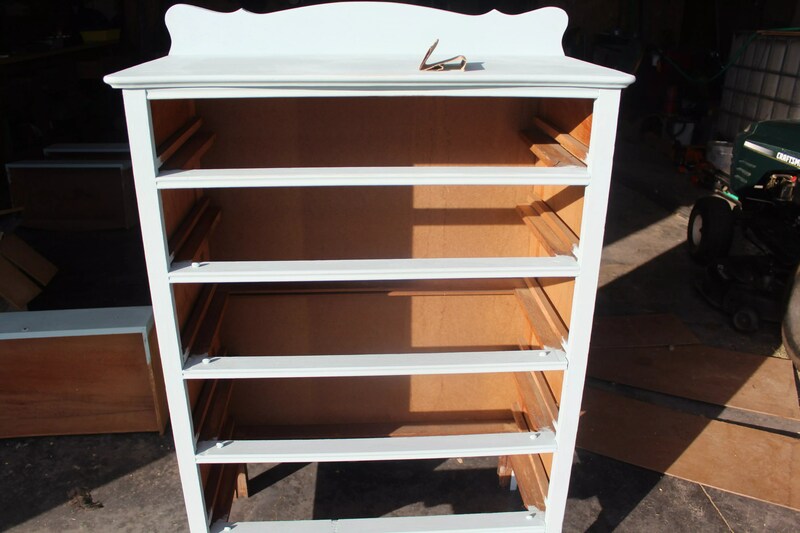 The dresser is really to tall for any of my younger kids to use very well, and I am just not sure what to do with it. 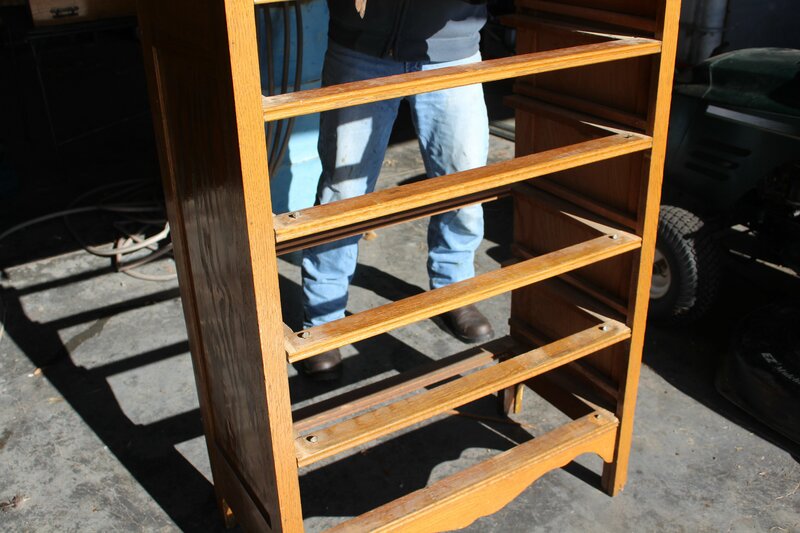 When you have an old piece of actual real wood furniture never throw those away! We also have the problem of movie storage. All open shelf style storage units are a prime target for young toddlers to stand at and throw movies around, I don’t have that kind of time! So I decided this dresser would fit perfectly in the small area we have to put our tv. It is narrow enough to not be in front of the window or the door. Older houses we not built for tv watching! So with my problem solving this will be converted to our tv stand and movie holder. The drawers will hold the movies and not give access to young hands to throw. While the top drawer will be converted to a shelf for the things like the DVD player, Xbox and whatnot. So as you can see it needs a little TLC. The back board is cracked and needs replaced. Also at some point someone stored it in a barn and termites damaged much of the wood from one leg and up into the bottom drawer. However with a new back board and some wood filler we will fix all that right up. 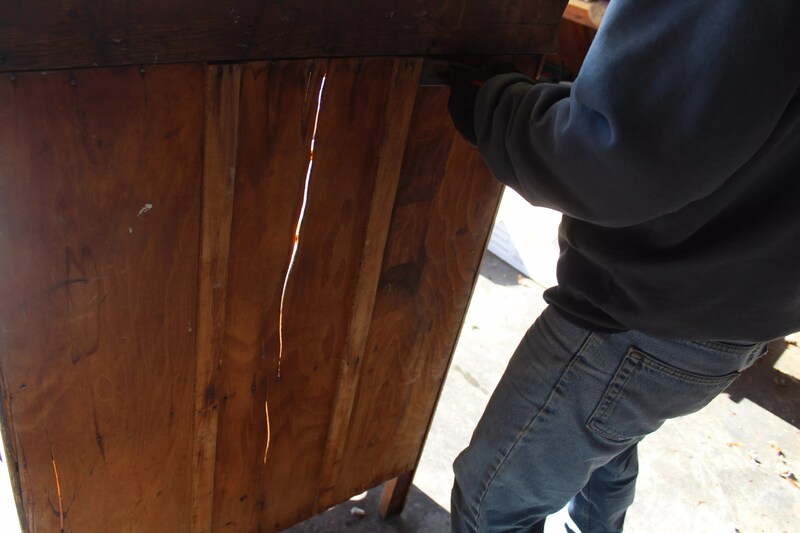 When you are dealing with real wood as opposed to veneer over some kind of pressed wood or particleboard, you can make fixes and you will still have a very strong study piece if furniture. So back when we did our Vintage Inspired DIY Chalkboard (check that out here), we had to get a large piece of hardboard from the hardware store. That was probably the most expensive purchase in that DIY project. Well as it turns out the left over piece of that hardboard makes for the perfect and strong new back to the dresser. Double duty out of one purchase, Score! We also added a board to act as a shelf, where the top drawer space was, sorry I didn’t get a picture of that process. 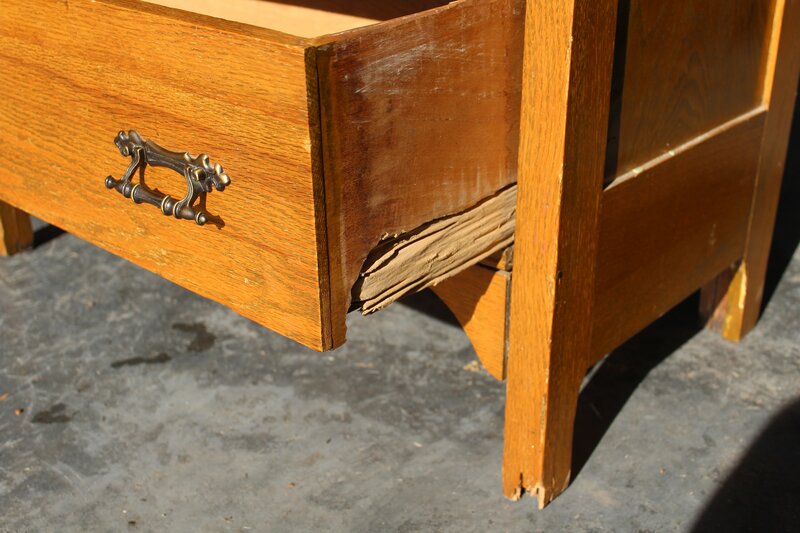 However we wanted it to be something we could take out if we ever want to convert it back to a dresser. 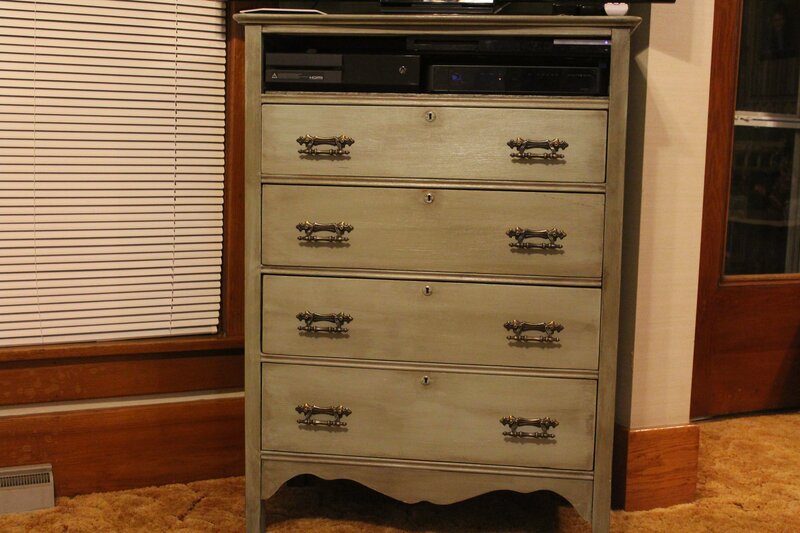 Adding a little chalk paint, is necessary for the look I am going for. However if this thing lasts another 100 years and the style at that point in time is back to the real wood look, stripping the paint off is totally an option when you have real wood. 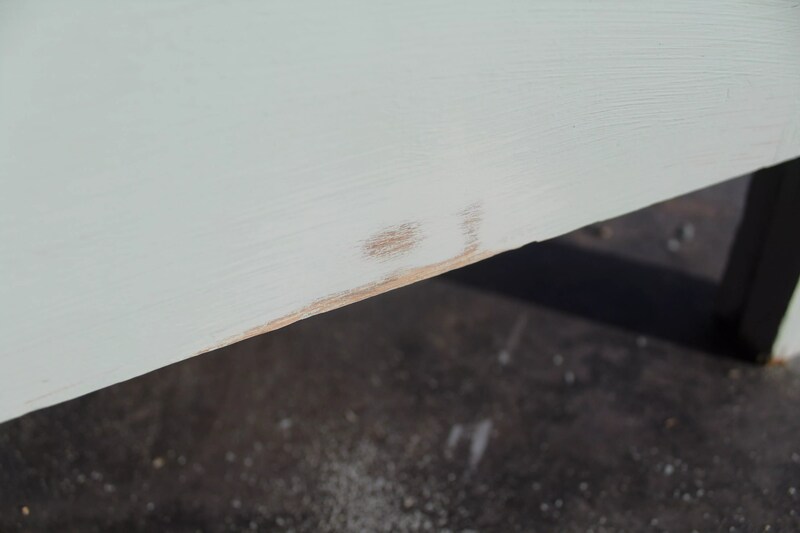 I add a little distressed sanding to certain key areas, to get the look I am after, Making sure to get back down to bare wood. After painting and sanding, we stained it. Stain changes the color quite a bit sometimes, which is what I want. I wanted and older, slightly ‘dirtier’ look. So here I have a dark walnut stain. We wipe it on and wipe it off, wipe away more to have more of the paint color come back through. 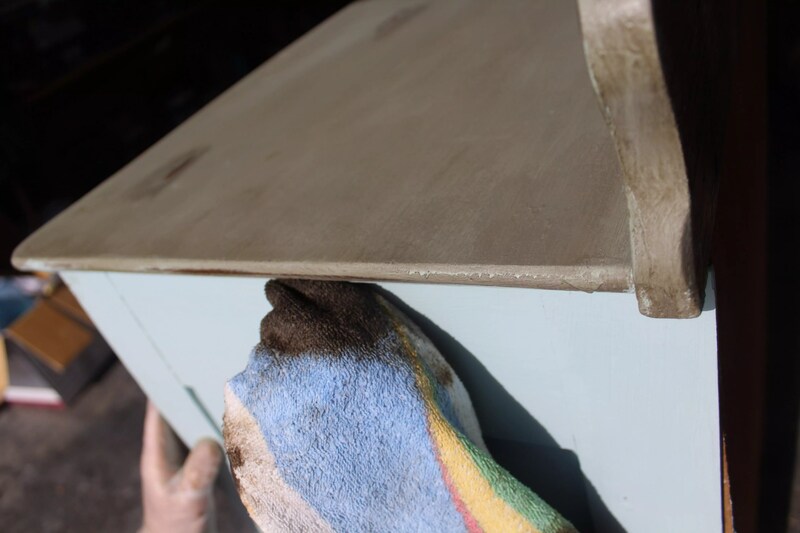 After the stain we use a wipe on polyurethane, wipe on is the easiest, and I just love it, for these type of projects. We put two coats of polyurethane on. Also keep in mind that first coat also removes a little of the stain so keep that in mind when applying it. We let those dry for several hours, reattached the hardware. Put it all back together, and started setting it up in the room where the T.V. is and voila!